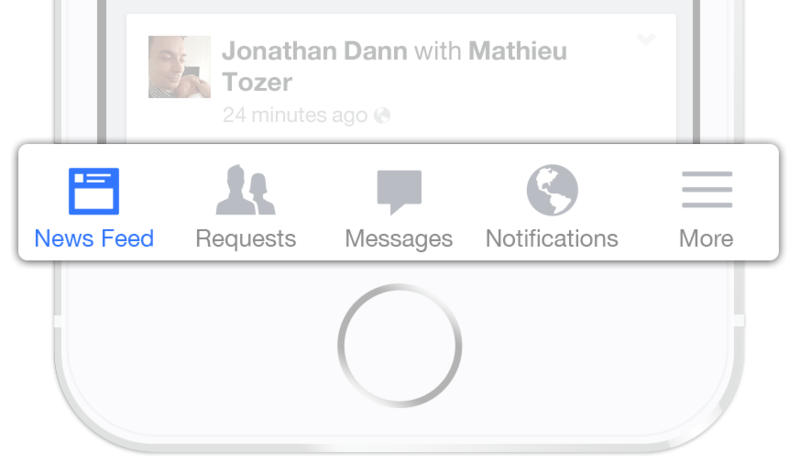 A discussion got started in the office today, spurred by this article Kill the Hamburger Menu. The dialogue evolved, as these things do, and the focus shifted to the use of iconography in menu bars and whether an icon requires supporting copy. A question was raised during the conversation: Doesn’t putting a label on an icon, defeat the point of actually having an icon? This was countered with evidence to say that copy is required to inform customers on the destination of their click. Without this copy, a potential bounce from your site or app may occur. The example that came up in our discussion was Facebook’s switch from the hamburger menu to a fixed navigation bar, with iconography and copy, at the top and bottom of their app. Without copy the icons are ambiguous but after you’ve used the app the icons and indeed their placement becomes second nature to the user. The Facebook Navigation icons with descriptive text. 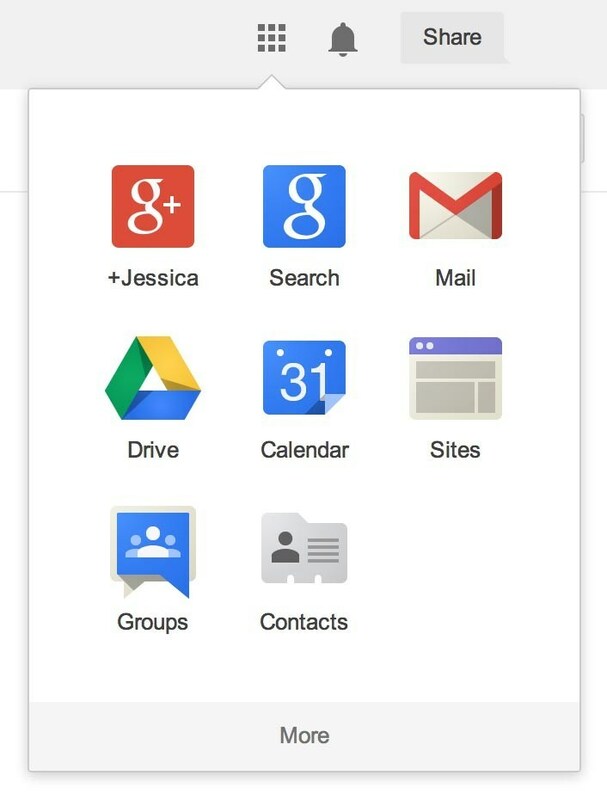 So, this got me thinking about where icons are used without copy to support them, and Google came to mind. Their icon, for viewing the full suite of apps on desktop, is no doubt a confusing one for many customers, and I wonder how many users never click on it at all. Before clicking icon, the view is as above. The reason for my concern is that this icon is widely used on ecommerce sites (and Google Drive) to allow customers to switch from a list view, to a grid layout. I wonder if, based on this relatively standardised use of the icon, that uninformed gmail users think that icon will show their email in a grid format. Surely Google (a big company with lots of smart people) tested this, right? In the never-ending pursuit for clean design was usability compromised? Are they hiding a swathe of their products from potential new users due to an adherence to a design philosophy? The final point comes from a visit to the Australian Centre for the Moving Image (ACMI) by a colleague and his family. Whilst browsing around the exhibits, the grandmother of the family stopped and pronounced “I like this one” to a specific exhibit. The exhibit she liked was a green and white sign containing an animation of a man moving across the sign. She was swiftly informed, “It’s an exit sign grandma”. So, it seems whether it be the use of iconography in site navigation, or in informing visitors of escape routes in case of an emergency, words matter.